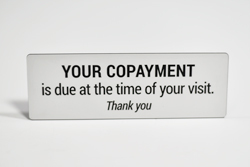 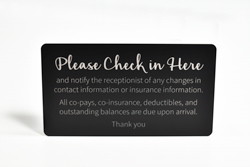 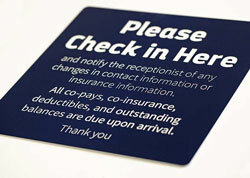 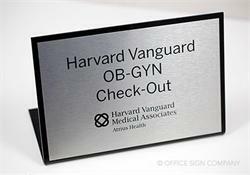 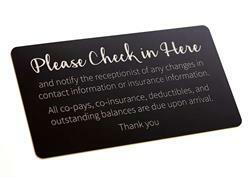 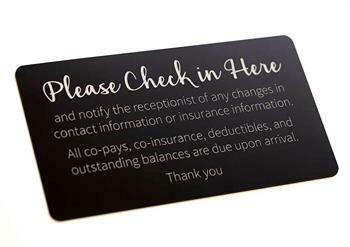 9" wide by 5" high medical check in office signs are a great solution for posting standard co-payment policies and check-in procedures in the waiting area of your medical facility. 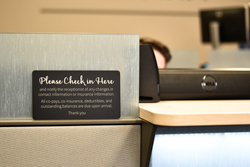 Choose a color scheme that best complements the decor of your office. 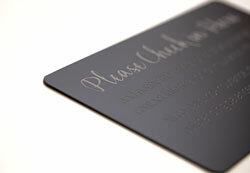 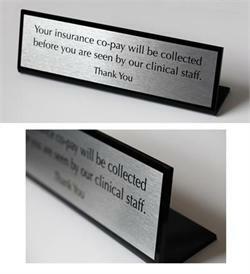 Text is laser engraved for a crisp, clean professional look. 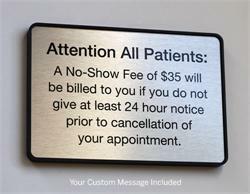 Standard text reads as shown in photo, or customize your sign with information that is specific to the procedures in your clinic or hospital at no extra charge. 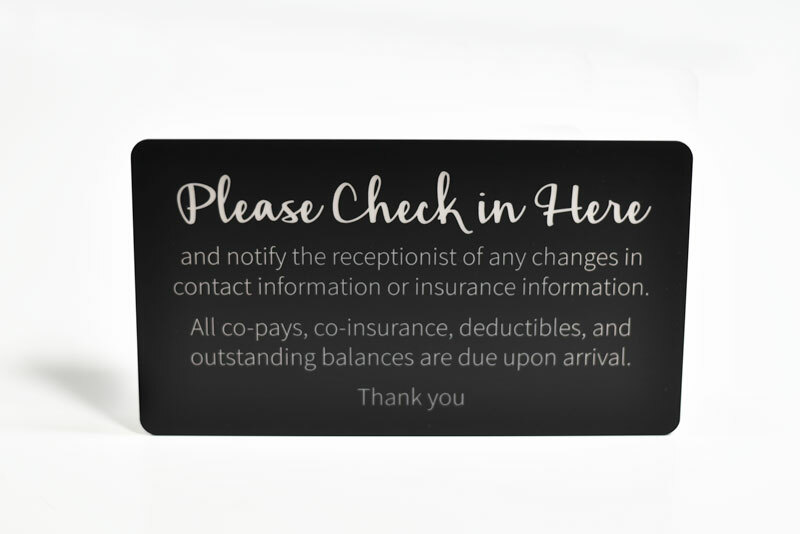 If you require a size or style not listed here, contact us via e-mail at service@officesigncompany.com or via phone at (701) 526-3835. 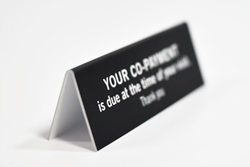 Once we receive your details, we will send you pricing.